We are very proud to have teamed up with fantastic film maker Bezmond and poet Simon Keegan who created this short film from the story of our #PleaseLookAfterMe ice sculpture art installations. 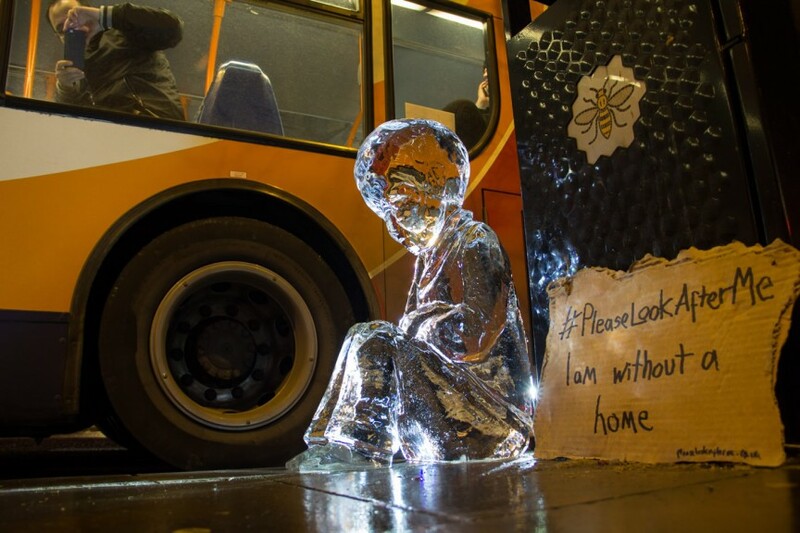 We placed 7 ice sculptures all over England to highlight the vulnerability of the homeless in the UK. Please take a look at this short film.